Looking for a way to dress up a room, or give a little extra “wow” factor to your home? Custom draperies and side panels can do just that. 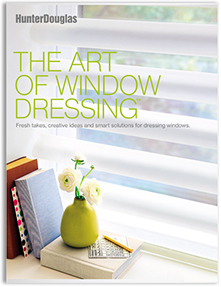 The simple addition of fabric to your windows can complement your existing decor or create a totally new look. At Windows & More, we’re proud to have our custom drapery and fabric window accents hanging throughout the Lake Ozark area. Our experienced designers will work with you to select the perfect fabric and pattern for your custom draperies. Whether you’re looking for a simple valance or floor to ceiling drapery panels, your new fabric window covering project will add beauty, warmth, and style to your room. Like any home design project, the key to a successful drapery project is in the planning. Working with a designer to plan out your project will save you time and money. Below are some of the steps we take our clients through to create the perfect custom drapery. 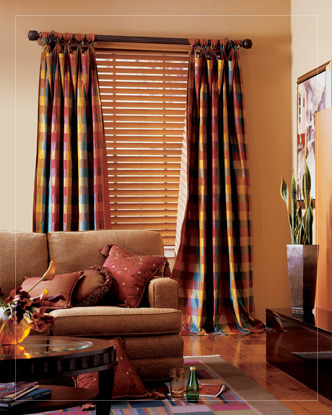 Custom fabric window treatments can tie together any decorating style or theme. What is your decorating style? There are hundreds of fabrics, colors, styles, hardware, etc. to choose from. What are your color and fabric preference? The size of your window, as well as the wall and overall room, makes a difference in your drapery design. How long do you want your draperies? Considering our fabric and pattern selection, there are truly hundreds of different options for your drapery. To get us started down the right path, what style drapery are you considering? How your new drapery project is mounted affects its look and function. Where is your drapery going to be mounted? Will your custom drapes standalone or work with blinds existing blinds and shades? Drapery serves a purpose. What is the main function of your drapery? Finally, we need to understand your budget. There are custom drapery options to fit most any budget, so it’s critical you know how much you can spend on new drapery before you get started.